Saturday morning I took off early for my four mile run in the rain and I loved every minute of it! The light drizzle was incredibly refreshing. 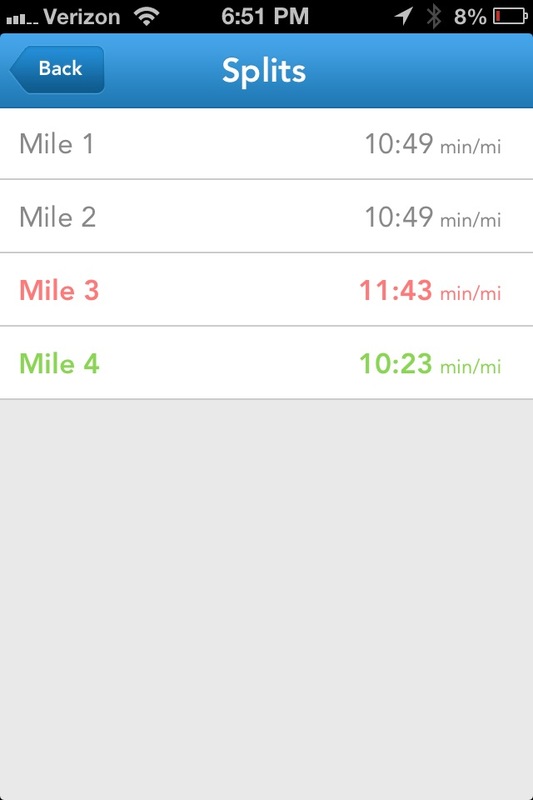 My min/mile improved compared to my last few runs. I am not sure what happened on mile three though:/ I am finding that my perfect pre run meal is a banana with a TBS of peanut butter. It seems to give me just enough energy without making me feel sick. Carb-loading before races is still something I am not quite sure how to do properly yet. Going to have to do a bit of research before October comes around. I ditched the runner’s belt and I seriously think that it slows me down when I use it. 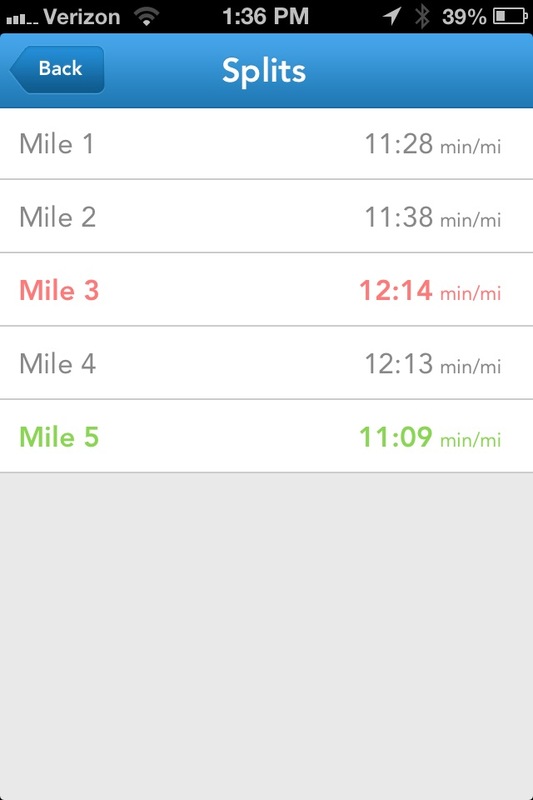 I felt great the entire run until I finished and again I started getting severe cramping in the lower right side of my abdominals. I could barely walk for almost an hour post run and think I may need to take a visit to my doctor and make sure there is nothing serious going on. It is still tender to the touch today. Crossing my fingers it is just dehydration or possible overtraining! I followed up my run with an hour of slow vinyasa yoga and I felt like I had an entire body massage after the class and it helped lesson the pain I was experiencing. For any runners out there I think yoga is essential to balance out your training. 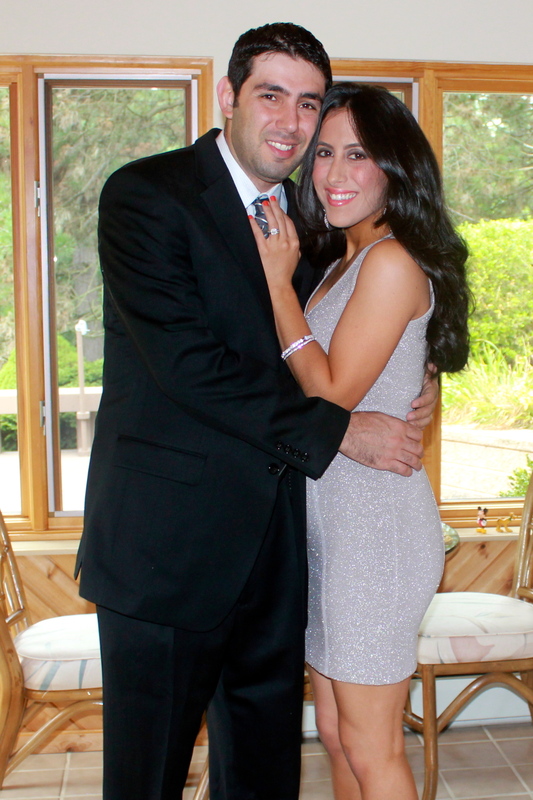 We had a great time Saturday evening at a good friends wedding…actually way toooo good of a time. I was paying for it all day today! Needless to say today was a rest day…basically consisting of eating and shopping and more eating. I would have stayed in bed all morning except I had a little two year old wake me up at 6:30am to play cars:) Tomorrow will be my nine mile long run. Ending with a picture of my husband of I heading to the wedding…we literally go to about ten weddings a year as we both come from huge families and they are always a blast. Have a great week everyone! Since I ran nine miles the past two days I decided to give my body a rest and mix it up with the elliptical machine for 30 minutes. It was a nice change of pace and my body feels so much better. Tomorrow is going to be a run and yoga day. I eat a 95% vegetarian diet (I do eat dairy and eggs) and I made these quinoa burgers from Vegetarian Times this afternoon and added a TBS of curry seasoning which gave them a little spicy kick. They were amazing! My entire family enjoyed them and they are filled with so many vegetables. The sun-dried tomatoes help balance out all of the flavors. Perfect post run snack! What are some of your favorite pre and post run snacks? 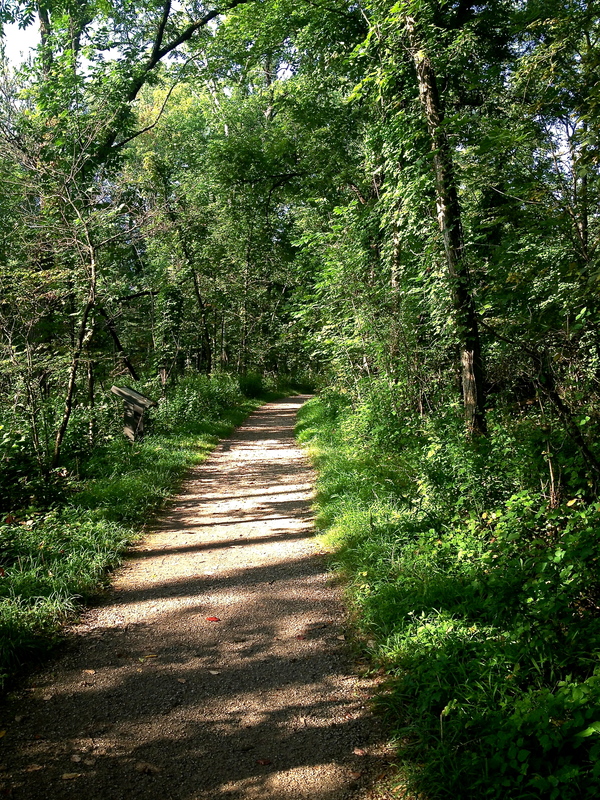 I took a picture of the trail I run on often. It goes on for about twenty miles. It is so peaceful…just hoping I don’t run into a coyote one of these days. We have so many around our area! I hate that two miles were over twelve minutes but it was really hot and humid so I think it played a roll on my time. Night Before My First Half Marathon!! Sweat. Smile. Learn. Live. Eat. Sleep. Repeat. In July 2011, I weighed 278 lbs. On Mar 12, 2013 I made the decision to qualify for the Boston Marathon. This is my journey.